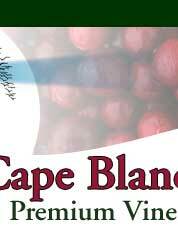 Welcome to the home of Cape Blanco Cranberries, Inc.
We grow one of the world’s most healthy fruits; the cranberry. 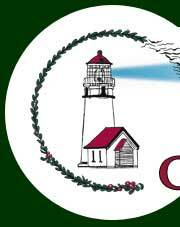 Our cranberry farms are located along the beautiful Southern Oregon Coast, overlooking the Pacific Ocean. Our mild climate enables us to keep our fruit on the vine long after other growing regions have completed their harvest. 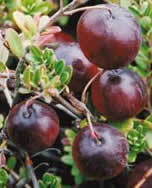 This extra time allows our cranberries to fully mature, resulting in darker, sweeter premium vine ripened cranberries. We use these wonderful late harvest cranberries for all of our products: fresh cranberries from mid-October through mid-December, specialty pack “flowable” frozen cranberries, bulk frozen cranberries, Cranberry Fruit Trio, cranberry concentrate and single strength cranberry juice. 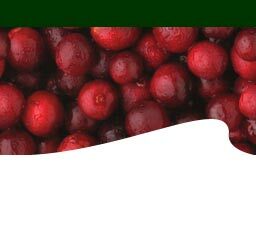 For more information about our farm, what makes our cranberries unique, and wholesale customer information, please click on the links to the left. 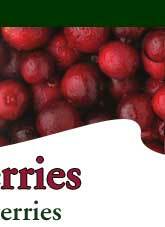 Lots of cranberry recipes and information about our local area are also included. Please contact us for any other information you may need and thank you for your visit! Cape Blanco Cranberries went to Hong Kong and Shanghai with the USDA AgriBusiness Trade Mission, September 6th through September 14th, 2016. Please see our News page for more information. 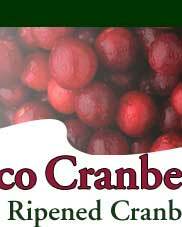 Website copyright © 2005 - 2018 Cape Blanco Cranberries, Inc.